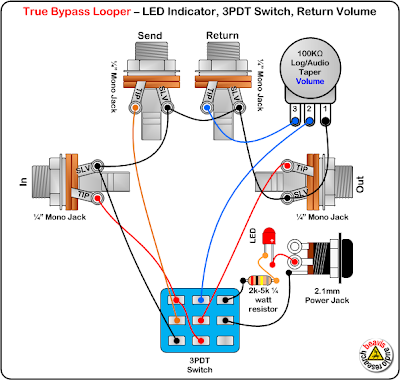 A large online repository or library of guitar pedal schematics, layouts, PCB transfers, and tagboard layouts. All rights reserved to respective owner(s) - not for profit / for educational purposes ONLY. Hi is the a correct way the switch is meant to go so 9 pins does it have an order or can it be connected from any side? 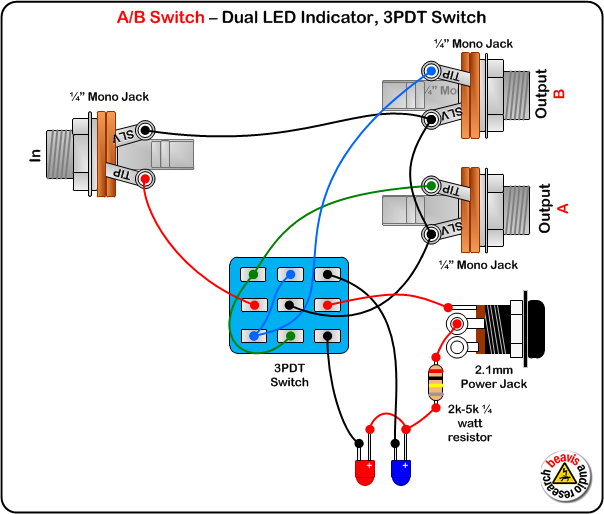 There are several ways to wire a 3PDT switch w/ LED ... I have been doing mine with a different layout that grounds 3 of the lugs. Look at the top of this page, the beige background 3PDT switch. 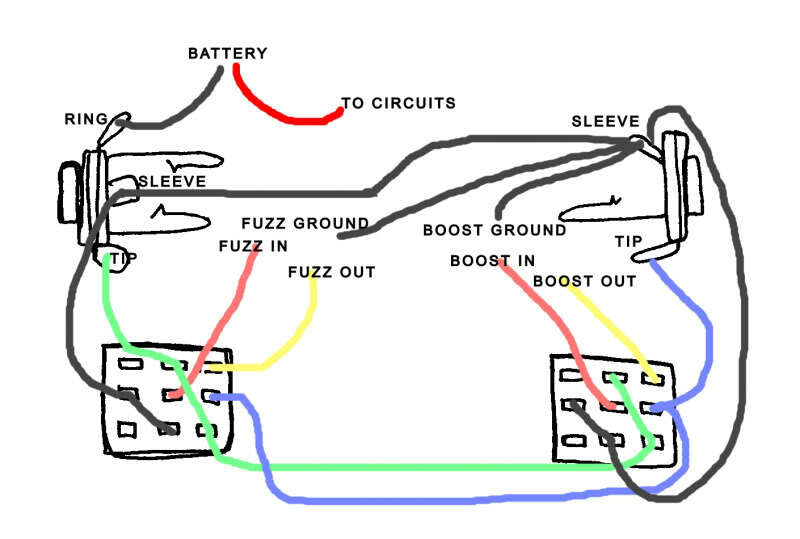 This is the wiring layout I use now for my builds. Have a unique, or new Guitar Pedal Schematic / Layout for our site? 2018-2019: Kyle O'Hare / VALVEFX.com . Picture Window theme. Theme images by clintspencer. Powered by Blogger.